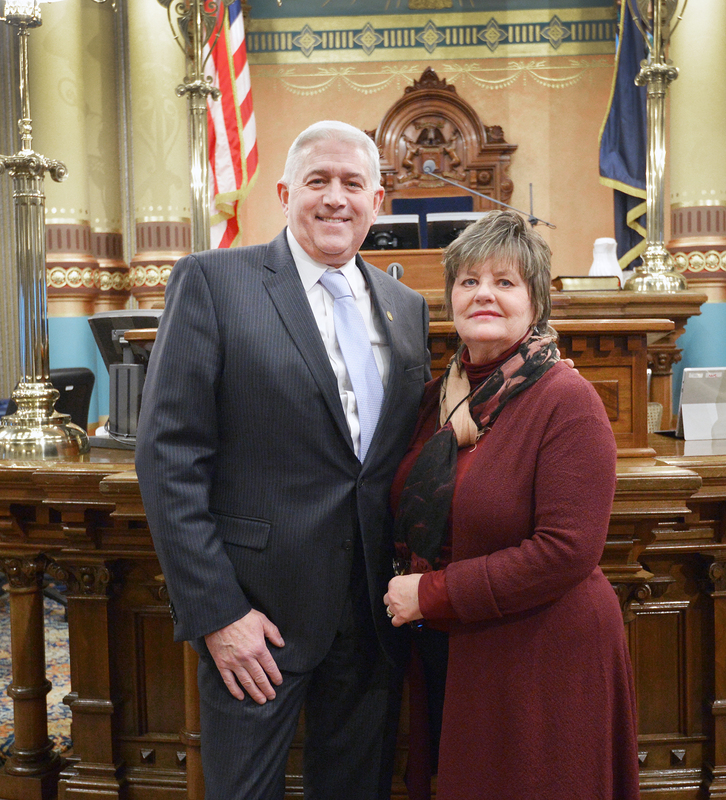 LANSING— Sen. Ken Horn, R-Frankenmuth, welcomes Executive Director of Public Affairs for Consumer Energy, Linda Sims, to the Michigan Capitol before Gov. Rick Snyder’s 2015 State of the State address. Sims (right) was Horn’s guest for the annual address Tuesday night. A print-quality photograph of Horn welcoming Sims is available by clicking on the image or by visiting the senator’s website at: https://www.senatorkenhorn.com/. Click on “Photowire” under the Media Center tab.